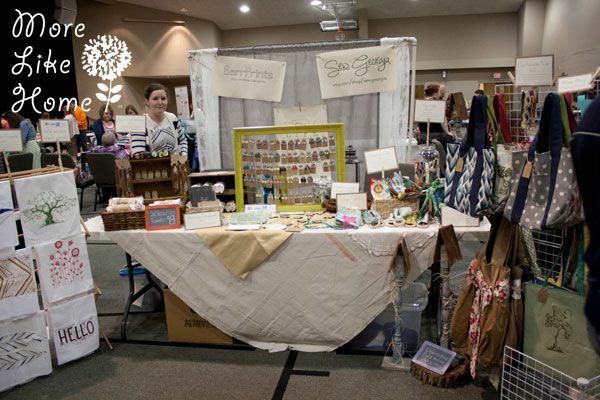 My sister and I are crafters from way back (you can check us out here and here). 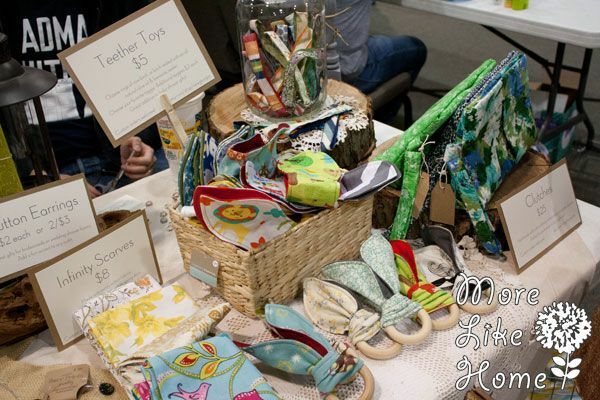 And we have always loved a good craft show. We started years ago, I don't remember if it was in high school or even before, with a small display and dabbled in a bit of everything. Since then we've honed our skills, focused on our interests, and worked on making more interesting and eye-catching displays. We're always looking to improve, but are really happy with how far we've come. 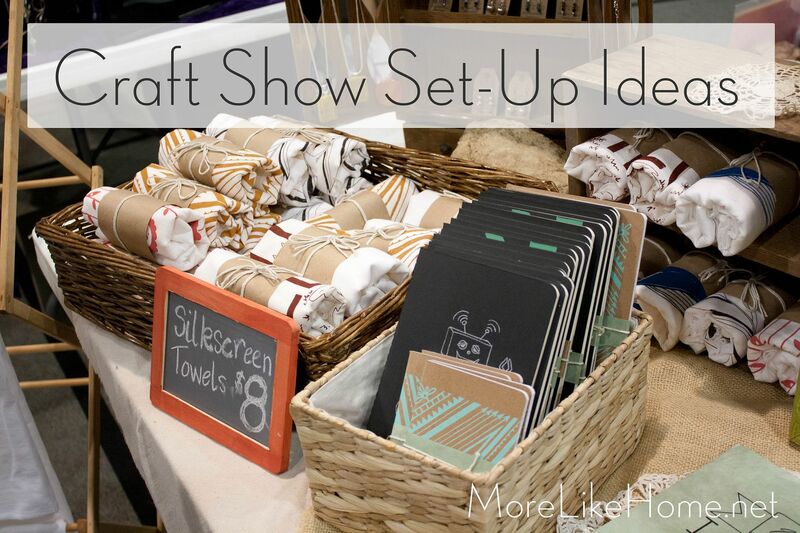 So these are some of our favorite tips and tricks for craft-showing (it's a verb). 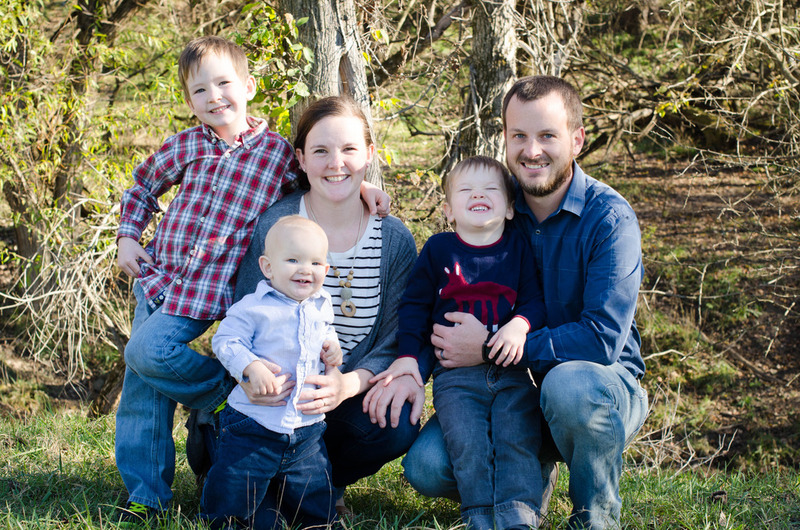 After spending years dabbling in everything from painting to card-making to jewelry to bags to Christmas decorations, we've found it really helps to pare things down and focus on the things we really enjoy. For my sister, that means she works with silk screening. She's really good at it, and it's definitely a rarer thing so she is always unique! My favorite is sewing, so that's what I spend most of my time on. This is definitely a more popular field so I try to stand out by creating my own unique patterns and products. 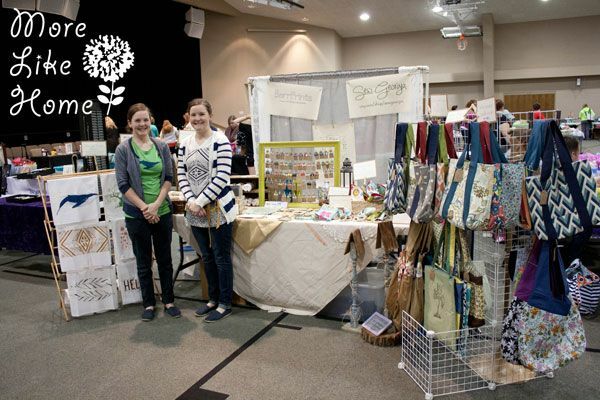 Growing up we always operated as one seller, and this was our first show where we officially split into two separate stores (although we still shared a table). It just didn't make sense to operate a single etsy store now that we live several hours apart, especially now that our products are going two different directions. So we stepped back and really re-thought our branding. We each chose a name that really represented our passions and products and worked to get incorporate those names every chance we got with signage, product tags, and business cards. 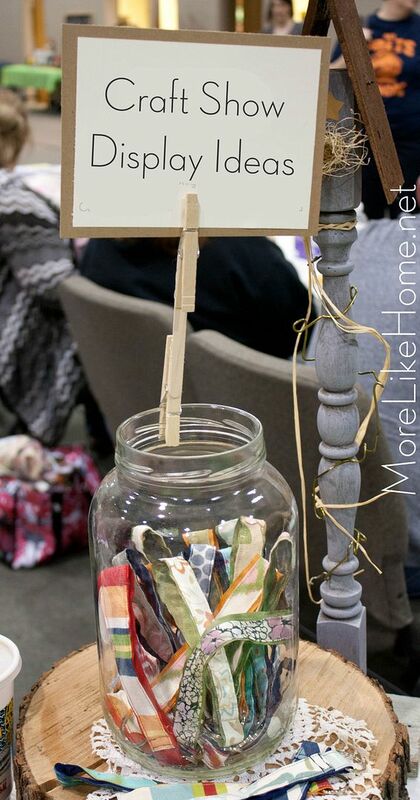 Being our cheap & crafty selves, we DIY'd as much as possible! 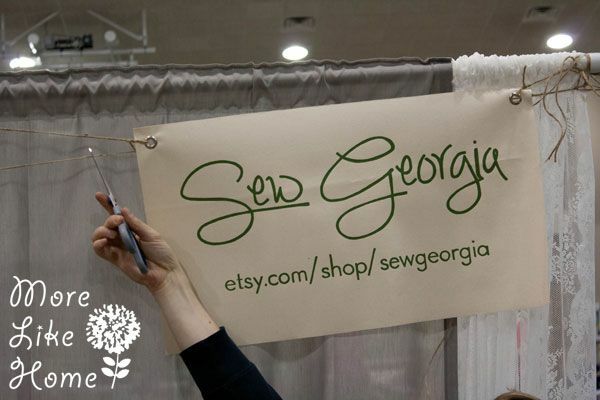 Sister screen printed some larger banner signs - BarrPrints for her and Sew Georgia for me. We made our own business cards. She screen printed the back of hers and I just printed mine on a pretty cardstock and cut them out. 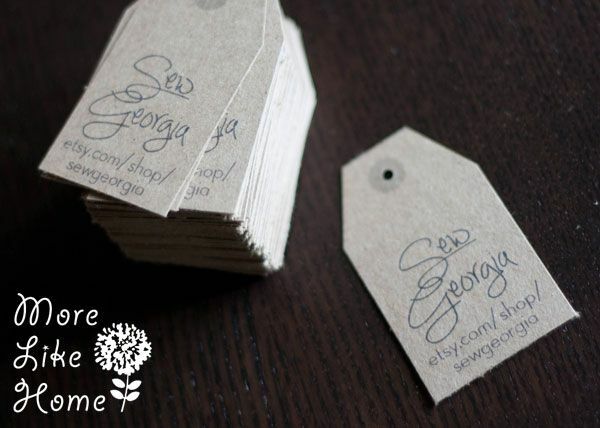 We even made our own product tags by printing them on brown paper and cutting them out. 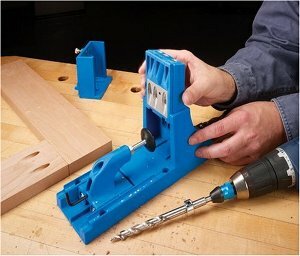 We attach one to each item in our shop. A hodge podge of styles makes a hot mess. 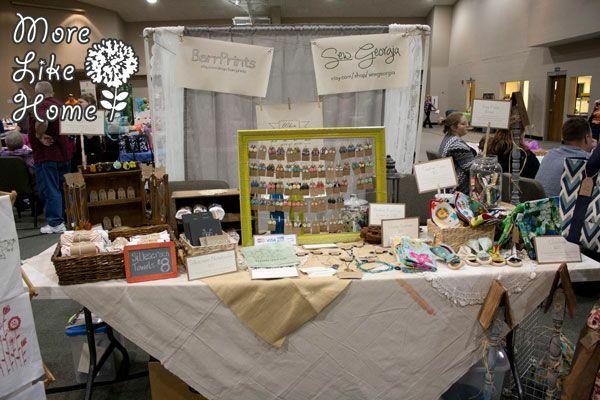 We've narrowed down our style to make a booth that is cohesive and really represents our own style and vision. It's a little vintage and little shabby chic with a smack of nature to it. And it's totally us. 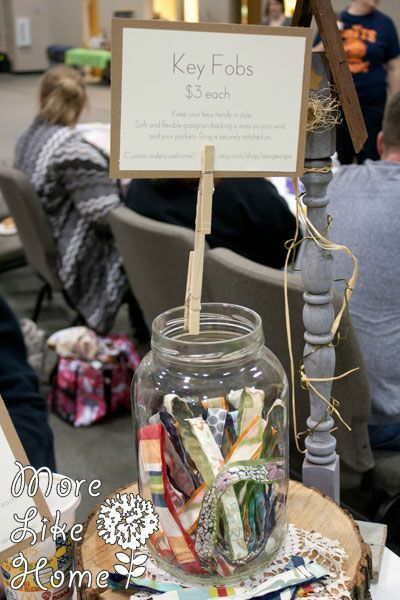 We try to work in interesting textures with old wood, baskets, burlap, lace, and glass. Our backdrop is made with a set of gray curtains and a set of lace curtains from Ikea hung on a PVC pipe frame my sister made. This is the only picture that shows the curtains closer up. Also my BIL cutting down my sign. Because that's what BIL's are for. 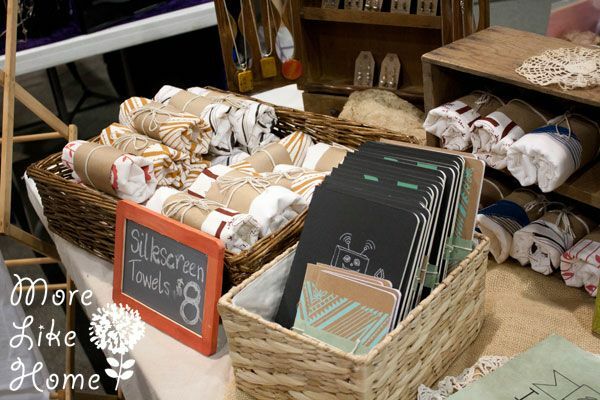 We used a drop cloth for the table cloth to keep it nice and neutral so our products can really steal the show. And make your labels as professional as possible. We made sure each item had our branded tags, and wrote the prices on each tag. 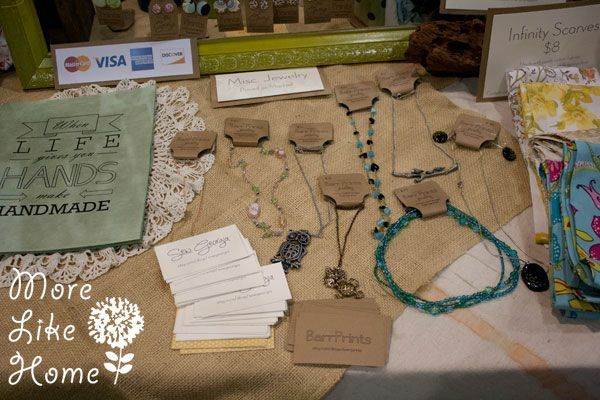 We also put up small signs by each item listing the price and and good selling points (i.e. the sign for my totes say they are great as a diaper bag or for a day at the park). Sister also brought these great mini chalkboards that we used to make signs for some of the items. Do whatever you can to show your work. 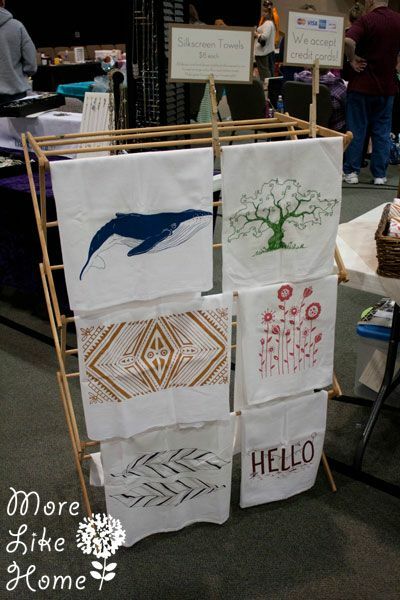 For this show my sister silk screened a shirt for each of us using some of her favorite towel designs, I made our craft show aprons (tutorial here) and we each wore some of the button earrings we were selling (we wore different sizes so people could see the difference). People are drawn to the unique. 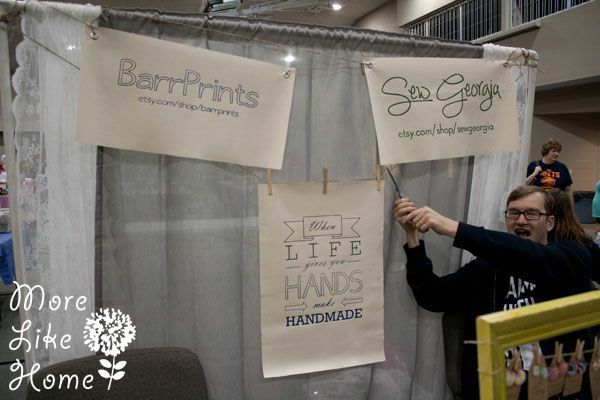 We've spent some time collecting a variety of display tools that catch peoples' attention and draw them into our booth. 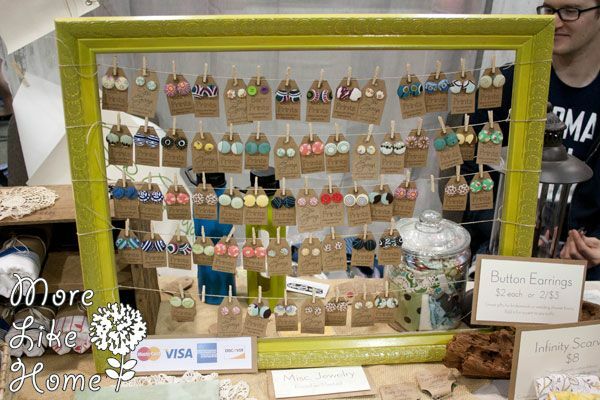 We love this old frame for displaying button earrings. We use baskets to keep things more organized (although they had been ransacked a bit by this point). In the corner you can see a few slices of tree stumps we use to create varying heights to keep it interesting, and I love a good glass jar in my display. My sister found what may be an old spice rack that she uses to display her hand-painted necklaces and beaded jewelry. And she uses an old drying rack to show-off all the towel prints she has available. 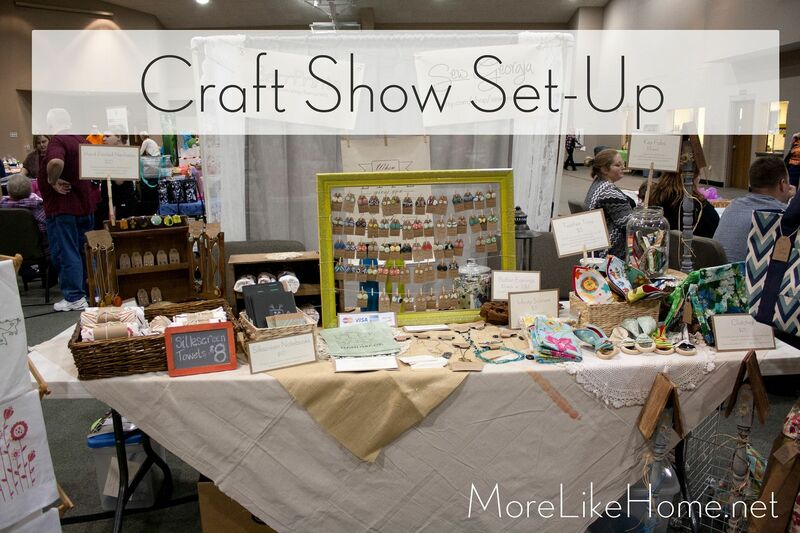 Typically a craft show booth is one table and certain amount of floor space (like 10 x 10'). We try to make the most of that space by setting up extra displays that stick out in front of our table. Something in front will grab attention, so when we put our best work out there people are more likely to come into our booth, and more likely to buy something! On one side we put the rack with Sister's towel designs. And on the other side a display with my favorite bags front & center. I really think shoppers can tell when you enjoy what you're doing. Make products you love, create a display you love, and they'll see that. You (and your attitude) are a part of your display so put on a big smile, make conversation, and thank people for looking. 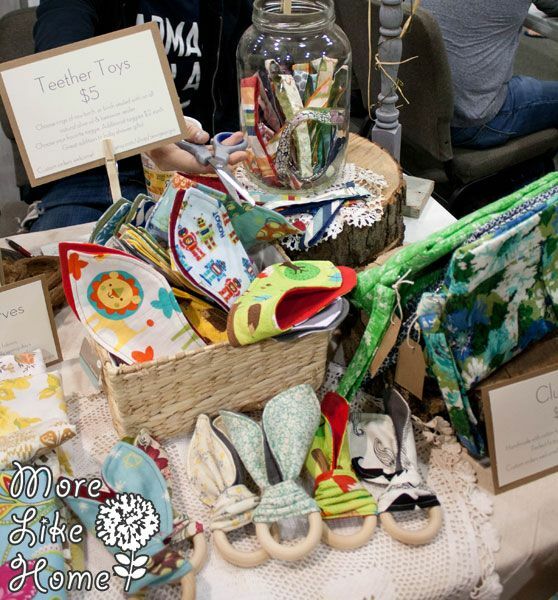 I know I'm more inclined to buy from people who are cheerful and happy to be there doing what they love! 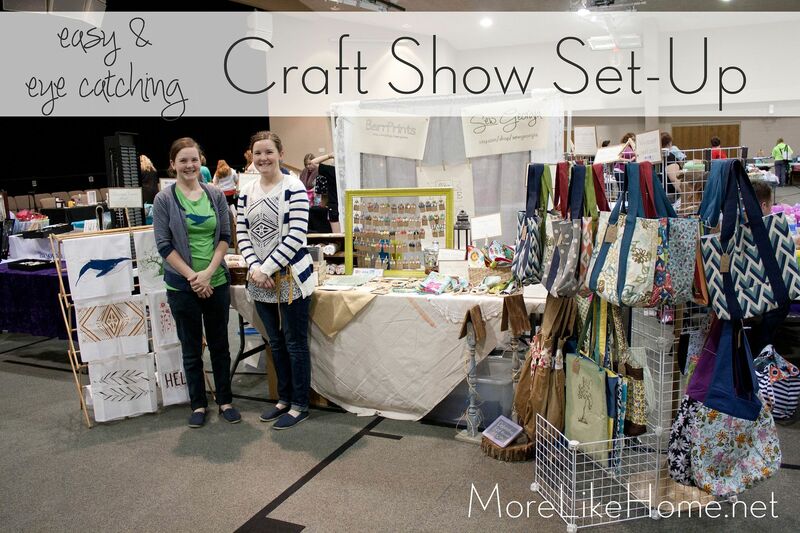 So have fun and we wish you the best of luck on your next craft show! The Brothers wish you luck too. 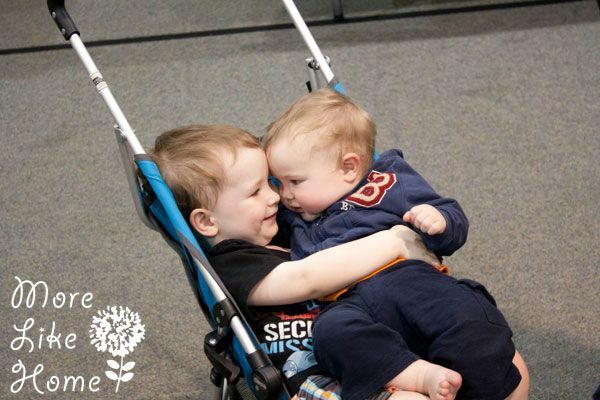 Who needs a double stroller when you can double-stack? 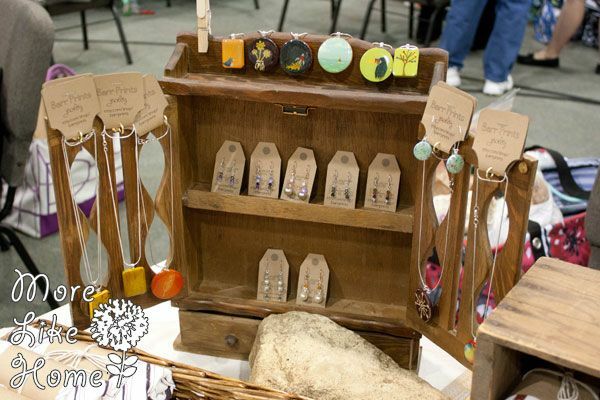 Have you ever been a craft show vender? 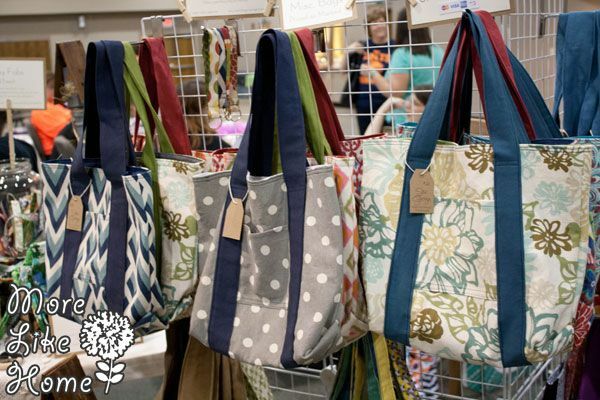 How about a shopper? We'd love to hear your favorite tips for having a great display!